FADWU has been fighting against illegal excessive agency fees. 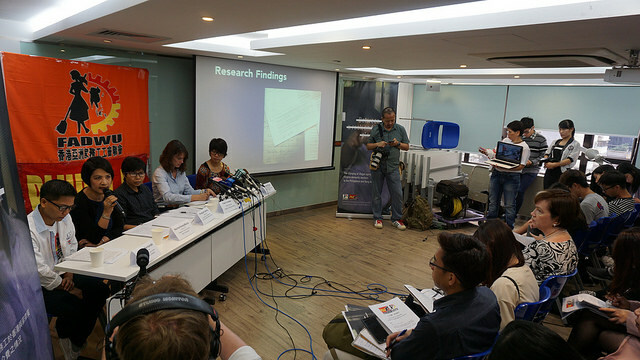 In October 2016, FADWU launched a report and a short film titled “Between a rock and a hard place” which documents the illegal activities of employment agencies, including overcharging, and the failure of governments to protect the rights of migrant domestic workers. 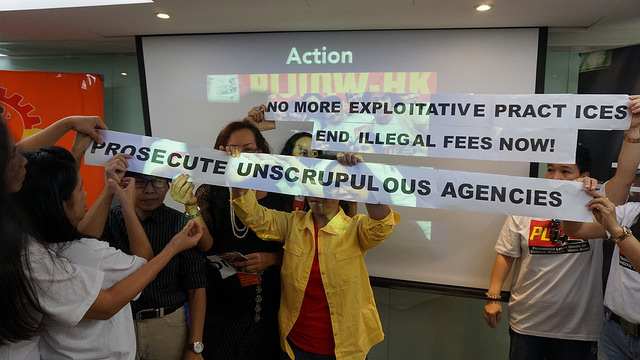 The report launch was followed by several meetings with FADWU members and the legislative council to push the government to be accountable in eliminating illegal activities by employment agencies. Recently, FADWU’s consistent actions to tackle overcharging fees has led to success! 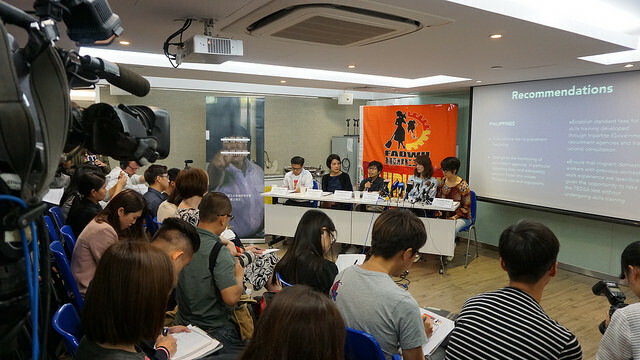 In January 2017, the Hong Kong government introduced a new code of practice to regulate employment agencies, and promised that legislation on employment agency monitoring and heavier penalties would be addressed this year.